Time to begrudgingly forgive Rayman for his console promiscuity. 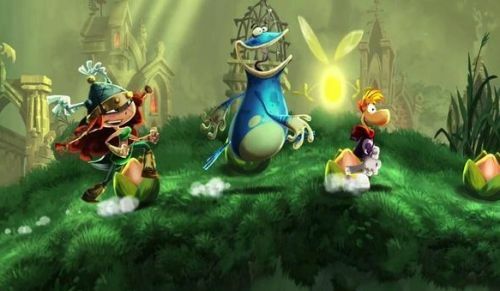 Earlier this year Ubisoft announced that Rayman Legends would be delayed until September. Also earlier this year, Wii U owners shed a tear as the once exclusive game sold itself out the other big consoles. But really, can you blame Rayman? PS3 totally just put a pool in the backyard, and Xbox 360 has a jacuzzi. So, you know, sorry babe. Ubisoft isn't forgetting about its once golden promise to Wii U owners, however. Rayman Legends Challenge Mode arrives this Thursday on the Wii U eShop, bringing with it four exclusive levels along with daily and weekly challenges to keep fresh content on tap. As many as five players can run co-op through levels, racing for the top score and challenging friends' ghosts for the best times. It may not be Rayman Legends proper, but it's not a bad reconciliation present. And hey, it's free! Page created in 0.5283 seconds.